This case gets more horrible every day, if that’s even possible. 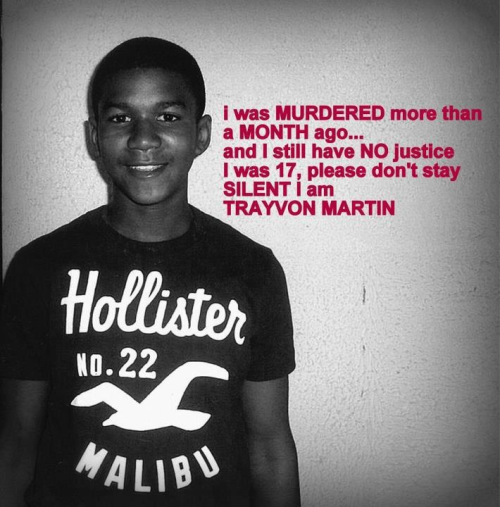 There’s just no way I can possibly justify George Zimmerman’s shooting this young man dead. Like a dog. Left to die. But it gets more complicated than that as you can imagine. While Florida’s stand your ground doctrine may have provided a legal basis for his not having retreated, the use of deadly force may indeed prove problematic if he’s charged. That’s right, if. And what would he be charged with? Remember, while this piece is being written, Dirty Harry’s sorta on the lam. He’s not been arrested. For anything. So what to charge him with? Well, manslaughter’s a good place to start. Manslaughter. Man’s laughter. Negligent homicide. But problems arise when it’s Barney Fife’s word against that of a dead young man. And you can play all the 911 tapes you want. That won’t help. Believe me. And I don’t care how many N-bombs he dropped in said 911 calls. So what? Remember, that may be okey-dokey for hate crime purposes but this is criminal law, Jethro. It’s tougher than you think. And you can likewise forget any chances of federal civil rights prosecution. There’s simply no evidence that he targeted Trayvon Martin for death because of his race. But that doesn’t remove the horrible facts of the case. Those absolutely horrid moments that certainly must have occurred. Imagine the last moments of this young man’s life when the realization of what happened hit this young man. If he was alive long enough to even appreciate and experience the horror. ← LIONEL PODCAST: We Live In An Asylum. And There’s No Way Out.